123Seguro is the leading online insurance broker in Argentina. They started in 2010 with the goal of bringing ​​transparency and agility to the insurance industry, so the first online broker in the country was born. With this in mind, they started reducing time and costs in the car insurance contracting service. Today, 4 years later, they are leaders in the Argentine Internet market, with more than 30,000 policies sold and 300,000 quotes made. 123Seguro provides a comprehensive solution for insurance needs, supporting its clients from hiring advice to any type of management; like a sinister. And, always, at the best price. Users look for easy and friendly shopping solutions that allow them to solve their needs from the comfort of their home, while receiving excellent care and high quality products. In the ​​insurance industry, the challenge is much more complex given the number of variables and instances that this process involves when hiring the service. 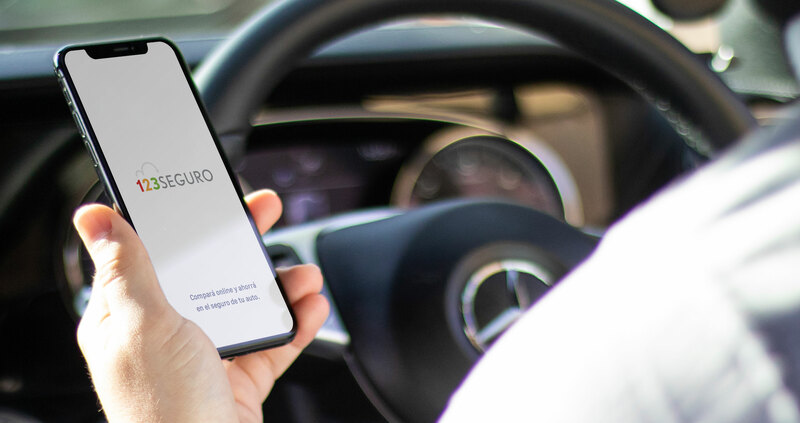 The online contracting service offers are polarized between websites/apps of the actual insurance companies and websites/apps that seek to centralize the entire offer of car insurance where the user can filter and review the offers of all insurance companies. In both cases the process is not friendly, it is not presented in a simple way and does not motivate the user to interact with the platform and start the process. Based on this situation analysis the challenge was to design a new app that fulfilled all the users needs and is easy and friendly at the same time. Once we design the app our next task was to re-design the online sales funnel. Purpose + Vision Articulation, Visuals, Iconography, UI, UX, Illustration. 1 app all, the options. 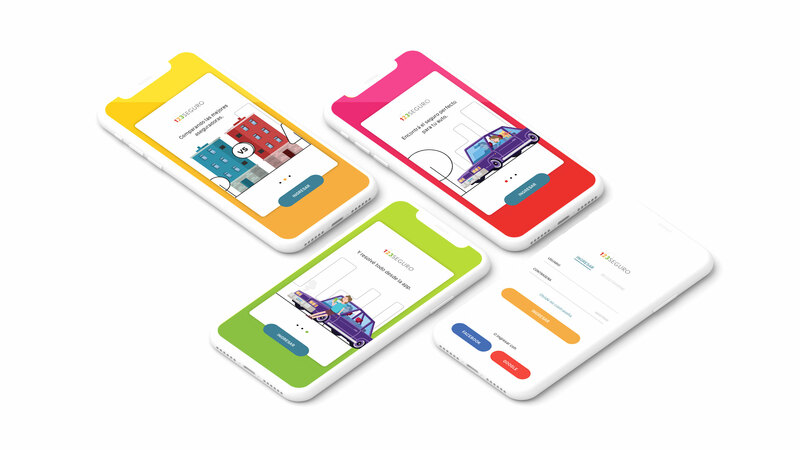 To promote the adoption of an app that centralizes the entire online offer for car insurance, we put the focus on the navigation processes, the customer journey, mediated by a consistent and clear UI design. 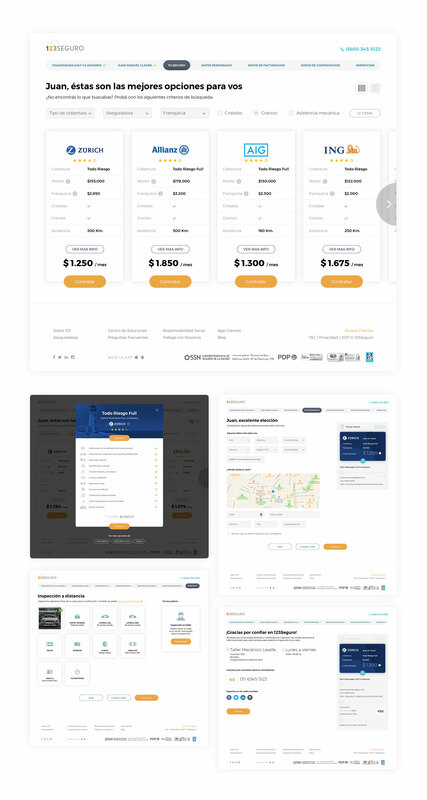 Our starting point was an in-depth analysis of the best practices in the online insurance industry, always focused on a solid UX thinking that would allow us to generate a fluid and simple navigation for the user. 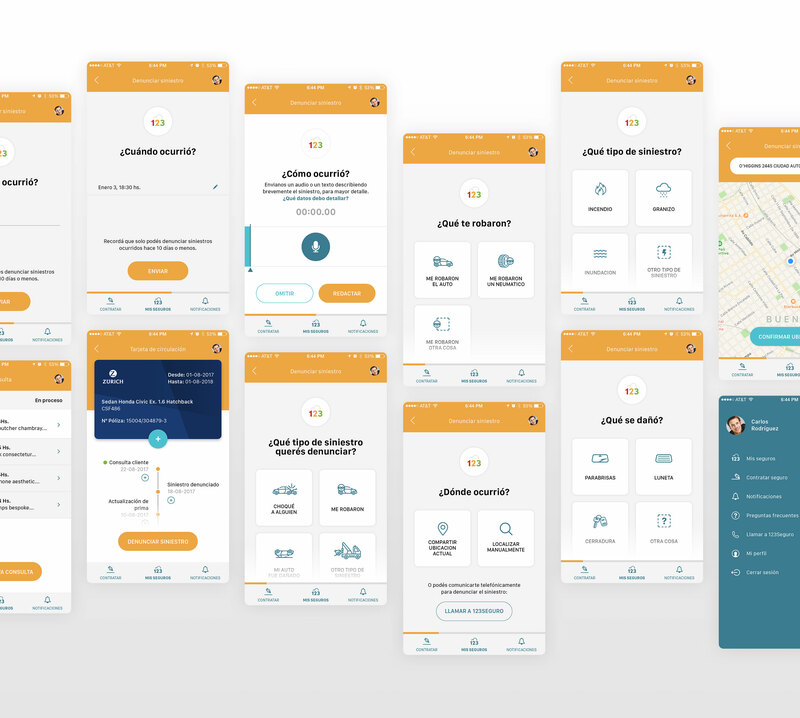 This process was reflected in the development of a navigable wireframe that allowed us to test the behavior of the user and thus optimize the app. 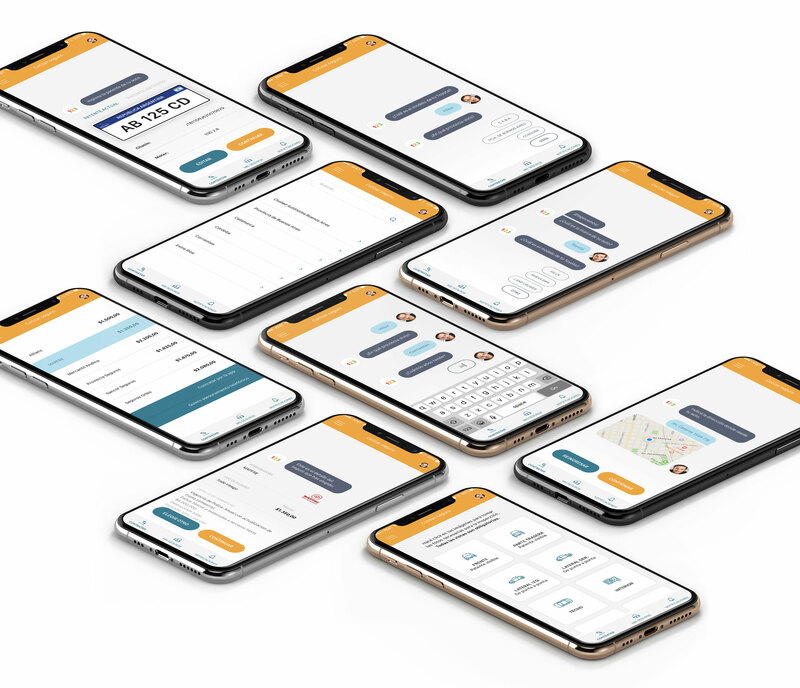 Our main objective was to develop a new experience in online insurance contracting, where the app works as an online assistant that facilitates a process that is perceived as complicated and dense. From the definition of this route and concept of interface, we worked on the assembly of a style guide that would allow us to work visually each of the instances and touchpoints of the development. Once this stage was over, our partner team Litebox, worked on the technological development of the APP to then perform the final tests and make adjustments for its launch. The result of this new development involved a drop in the 123Seguro call-center queries as well as an increase in the insurance contracting through the app with a low percentage of abandonment of the process until the check-out. Having this development done the client then asked us to apply the same type of UX / UI thinking to your website to align it with the app and also improve its metrics.